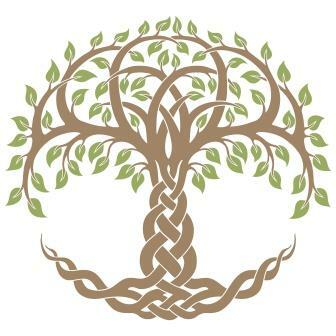 To celebrate all things autumnal including the 22nd September Equinox I thought we would delve into Celtic Tree Signs. As the title ‘unpredictable’ suggests those born under the Vine tree are changeable. You may find yourself being the life and soul of the party on one day, and on another you may feel more quiet and withdrawn. From a young age, people may have described you as having the ‘Midas Touch’, an ability to get what you want, and in your case that is generally the finer things in life! You can be charming and as such you have built up a network of movers and shakers, which will serve you well, especially in your career. From a young age you are likely to have been considered a ‘fighter’; however this should not be confused with anger or aggression, as you are incredibly empathetic and compassionate to others. Your ‘Warrior’ tendencies are much more likely to be used in the pursuit of justice for others. You are one of the more spiritual signs, and others suffering bothers you greatly. You genuinely are a giver and not receiver; you would probably be happiest working in a job that involves helping others, medical or charity perhaps? People know they can trust you and as such they spill their secrets, this can sometimes prove burdensome for you, but you take it in your stride honouring the trust they have placed in you. There is nothing you like more than learning, your greatest fear is of time running out – it never feels like there is enough time to learn everything you want to know and do. You put people at their ease and as such they open up to you – communication is your secret weapon! For you, life needs to be at full pelt, but you don’t want to run with the crowd. Others might consider you a rebel, but in reality you are an extrovert and a thinker. You are passionate about what you believe in, and are ready and willing to debate on the topic. Whilst you are outspoken, you listen to others opinions and you are considerate by nature. People are likely to have had high expectations for you since you were young, believing that you would go far in life… You are tough and firm and you work incredibly hard. Others are motivated by you, and often want to get involved in your projects. You are adaptable and will push yourself to achieve bigger and better. People are at ease with you and a room is brightened upon your entering! You are thoughtful and greatly interested in philosophy, you are creative and a thinker – but your ideas often run in contrast to others. This is no bad thing as many solutions to problems and innovative ideas can come from persevering even if others disagree. Sometimes you may think it would be easier to be accepted, rather than thought of as a bit odd or aloof, but greatness comes from visionaries – so be proud to be different.